Whether you are an avid camper or a newcomer to the scene, the tent is one of the first things you look at. Without a tent, life can be rather daunting and you will have to endure the elements without enough protection. Taking into account that you understand the ruthlessness of nature and the importance of a tent, we have decided to help you with the best 4 season tent. Most people prefer scheduling their outdoor or camping trips during specific seasons. When you have limited knowledge about all the equipment, this can be understandable. However, the 4 season tent is designed for the cold months, but it also gives you the freedom of camping in hot summer months when you need a little more air to keep you cool. With the help of some experts and personal experience, the 4 season tent can be rather easy to find. Once you understand the core dynamics of selecting a tent, those principles can be applied to these tents as well. Fortunately, we have done some legwork to find all these features and list them carefully, making it much easier to find the ideal 4 season tent worth your hard-earned money. Banging on the door of the top tents currently available for outdoor loving couples, we have the ALPS Mountaineering Tasmanian Tent. Made from solid polyester for the outer coating, the tent is really light and will keep out most of the elements. However, the main kicker is the polyester coating added, as this can withstand up to 5000 mm of rain at one time. Solid 7000 series aluminum poles have been added for the frame. While these will add a little bit of extra weight when carrying the tent, it will hold it firmly in place. My personal experience in winds bordering near the tornado mark, these poles have given me the ability to keep the tent firmly secured in place. However, you need to have it securely tied as well and if the rainfly has not been correctly placed, it could keep the wind from passing through, potentially causing a little damage. ALPS have stated that the tent is fully waterproof and as mentioned, this has proven to be the case so far. The tent also includes a UV coating, shielding you and the materials from taking too much damage from the belting sunrays. However, this can be reapplied occasionally to ensure the color does not fade and the tent remains in the best possible condition. Having 2 doors that can be closed or opened from either the outside or the inside is really simple and easy to use. The tent features a low-profile design as well, making it blend in with the ground and keeping you away from heavy windstorms and potential bursts of lightning. When looking at the design, you will notice it has been designed specifically to make the tent as safe as possible in all conditions natures can conjure up. The setup is one of the aspects that many people worry about. However, this tent is really easy to set up and should not take you more than 5 to 10 minutes. However, getting it back into the bag seems to be rather frustrating. The aluminum poles feel like they are too big for the bag, a common camping problem of not getting equipment back into the bags. ALPS Mountaineering is an extremely reputable brand and they have been widely known for the quality and time spent on designing the perfect gear. This tent is no different. Yes, it might be slightly more expensive than many other 2-person tents, but you also receive a limited lifetime warranty, suggesting massive confidence in the product from the manufacturer. I would definitely buy this tent again and again for all these special features. Flytop is not the most recognized brand amongst many of the elite backpackers, but they are on the rise. 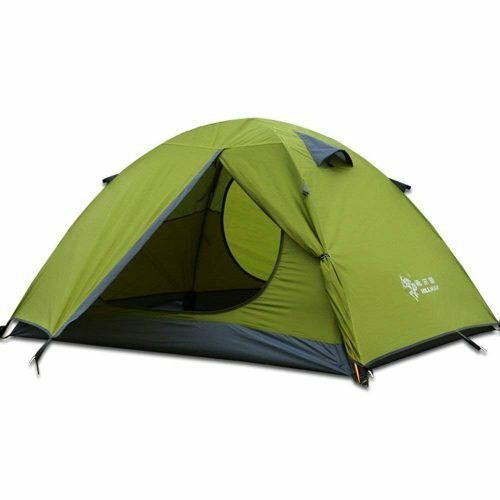 The Flytop 3-4 season Double Layer Backpacking Winter Tent is one of their latest models, designed for the entry-level camper or backpacker. 210T polyester, with an excellent breathability rating, is the main materials used. However, high-density nylon has also been used for the mesh, adding another layer of overall durability. The main features from the manufacturer is the additional thermal technology used in the design. This enables you to use the tent in the winter with much more success. Testing the tent, we have seen it ideal for temperatures above freezing, but you should not really consider it as your main option when encountering sub-zero degree temperatures in the Arctic. I love the dome-shaped design and with the additional rainfly, the tent can be used for keeping you out of the elements. One of the only drawbacks from this shape is that you need to invest in a tent footprint for the buildup of water underneath the tent. Nevertheless, the shape is really low-profile, keeping you out of the wind most of the time. As for the setup, you can set up this tent with minimal effort and it only features 2 small poles that need to be linked to achieve the desired stability. Once again, doors have been added on either side for comfortable entry. However, these doors also serve as a great way to have a slight breeze pass through the tent in the warm summer months. The stakes and the bag the tent is carried in seem to be really delicate. While we could not really test the overall durability in massive storms, the tent might not hold up in hurricane-like conditions. Then again, many houses also won’t hold up when a hurricane is in full swing. In slightly less hostile weather conditions, the tent should easily do the job it is made for. Since the brand and the tent is one of the newer models on the market today, it is no surprise that it is rather affordable. For a 2-person tent, I think the price is worth all of these small features. Being over the 6-foot mark, it is worth noting that the tent does bode well for taller individuals. Overall, I would say this is a great backpacking tent and it can also be used for beginners to the camping scene. The TRIWONDER 4 Season Tent is one of the smaller tents we have seen. The tent we tested has been specifically designed for the lone wolf backpackers. Made from 210T Lattice cloth and nylon mesh, the tent has an impeccable durability rating. Adding to this rating is the additional 7001 series aluminum poles that have been integrated to keep the tent standing. 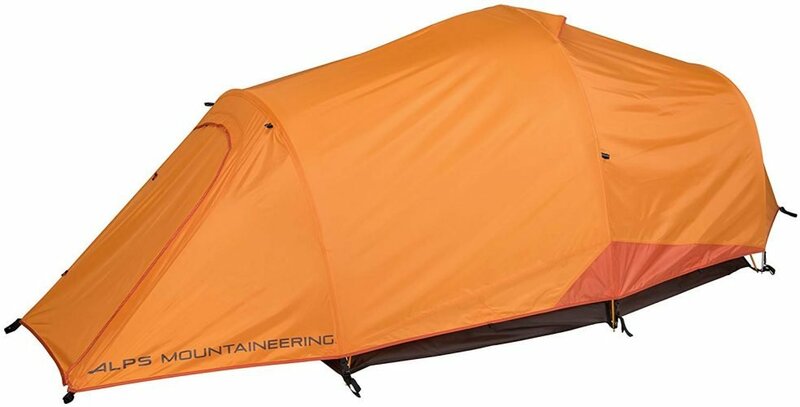 According to the waterproof index, this winter tent features a waterproof rating of 3000+mm. This might not be ideal for camping in the Amazon, but taking on the backcountry should really be a breeze. Talking about a breeze, the design has been made specifically with the door to ensure a circulation of air. This is really fundamental in the summer months to keep you from overheating. For backpacking purposes, you generally need to have a lot of space in the tent. Fortunately, this tent features a massive area near the door. This can be used for extra sleeping space, but your luggage will be out of your way when place here. Setting it up is rather simple, not taking 1 person more than around 8 minutes. However, you should spend a little more time to ensure the green rope is securely tied to keep the tent locked to the ground. You might be thinking that a 1-person tent feels like a complete waste of time when you need a 4 season tent. I mean, you are probably looking for something comfortable to satisfy the other companion. Fortunately, this tent is available in 3 different sizes and multiple different colors. The largest version might be more expensive, but it can hold almost 4 people. My main concern is the breathability factor. We all know that an Igloo is designed to keep all the heat trapped on the inside. Now, this tent also features the same design. Having another door would have been more beneficial for keeping the heat in check. It is worth noting that the additional tarp can be used as a rainfly or a tent footprint, depending on your needs and the weather. The price will vary depending on the size you choose. However, all of these prices are fairly affordable when compared to many of the elite brands. I could not find any warranty as of yet, but believe the tent will have one. It might not be the ideal camping tent for your longer trips, but if you love backpacking, this will be a good tent to give a shot. The Hilleberg Jannu 2 Camping Winter Tent is the ultimate tent for the elite camper. The tent has been constructed from solid Kerlon 1200 and aircraft grade aluminum has been used for the poles. This keeps the tent really lightweight, but also gives it some of the best overall durability that you could potentially dream of when camping. 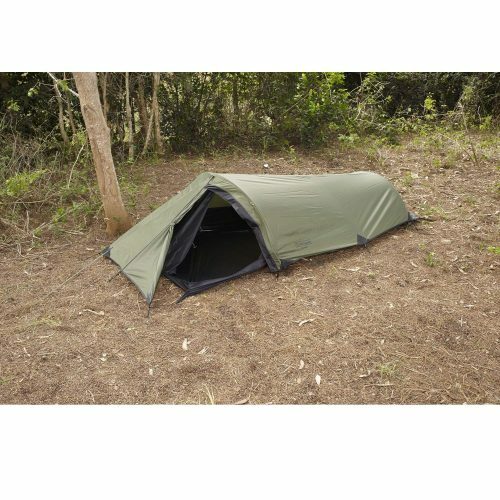 While the tent only features one opening, the materials are highly breathable and this enables air to pass through in the summer months to keep you feeling cool. In the winter, you can expand the interior space by dropping the walls and this will keep the tent warmer on the inside. With a cover added to the entrance, the tent won’t even allow the cold wind to get inside if you need to pop outside for a moment. The standard dome tent is rather shallow and it does not do very well when it comes to snow. However, this tent features a combination of the dome design and the geodesic shape. I have seen that it will allow the snow to slide off before melting. This will, in turn, keep the materials from taking in all of the cold and reflecting it into the tent. According to the manufacturer, the tent is designed for a reduced weight. It can withstand really heavy storms, but not for an extended period of time. You will need to have it rest and dry out in the sun from time to time. While I am not quite sure about the waterproof rating, the tent is definitely capable of resisting those sudden rain falls. As for the setup, the tent is really simple to set up. It might take some time to understand all the features from the instruction manual, but once you have them under the belt, you should not have any real issues with the construction. It is really easy to get all of the gear back into the bag it comes with and the smaller design makes it comfortable to carry with a backpack on longer hiking expeditions. The price is the only area for concern. This is one of the most expensive tents you can find on the market today. However, it will be worth every penny if you are a serious outdoor enthusiast. The limited lifetime warranty also gives you peace of mind when the tent is being used. I would definitely recommend it to anyone who loves camping on a regular basis in all weather conditions. If you are looking for a different style of tent, the geodesic tents will definitely stand out. These tents look a little different and they are extremely functional as well. 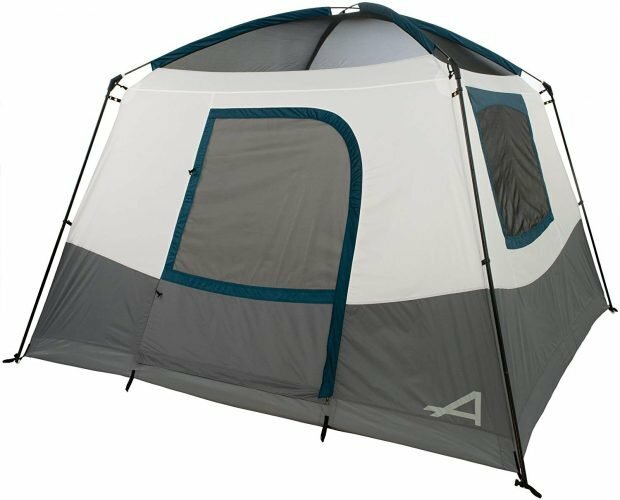 Made with an intricate A-frame, the Eureka Alpenlite 2XT 4 Season Tent has excellent stability and the aluminum bars will definitely do their part to keep the tent upright and in position when the weather is not in your favor. Multiple zippers have been added to the top and the bottom of the tent. These zippers might not really be functional for occasional campers, but they enable you to unlock vents. These vents are vital for breathability in the summer months and they should keep the tent cool. However, they are easy to use and can be closed in a jiffy when you need to fend off a sudden turn in the weather. The weight is slightly heavy for the avid backpacker, but if you are camping and you only need to move between short areas, the tent is simple and easy to set up. We have found that 2 people can set it up in under 10-minutes when the weather is at its worst. The durable stakes will be firmly planted in the ground, which means the tent will never move without your consent. For additional protection, Eureka has incorporated a stylish rainfly. This rainfly can be used as a tent footprint, but the design has been perfectly tailored to add another level of cover on the top end of the tent. With one easy to access door, you won’t need to have too many open areas or weaknesses that can be exploited by the weather. One of the unfortunate problems will remain the weight. Most people love a versatile tent that is used for backpacking and camping. Unfortunately, it does have a heavyweight and this might be a little frustrating for the avid backpacker. The aluminum poles can be tricky to fold as well, meaning you need to spare a little time in your schedule for the folding process. Most brand name tents are around the same price, with the occasional tent that completely takes it to the next level. This tent is no different and when you look at many of the top brands, you will see the tent has been fairly priced. While I would buy it without second thoughts, it would have been great to have a few more colors to choose from. The Snugpak, The Ionosphere 1 Man Dome 4 Season Tent is one of the tents that instantly caught my eye. Looking at it, you might mistake this dome 4 season tent for being a military tent. While this is not the case, it could have been when you look at the durable nylon and polyester materials that have been used for the construction. The shape is considered a dome shape, but the design is slightly off. However, the design has been specifically made to accommodate some of the taller campers and to allow the snow to potentially slide off the sides. A 5000mm polyurethane coating is integrated into the fabrics, making the tent reliable in wet weather conditions. Many people claim it should hold up on your Amazon backpacking journeys. With only one opening, we have found the tent to be slightly warmer than many of the other tents on this list. The materials are a little heavier as well, but this will remain durable when heavy snowfall is plaguing you and threatening to fall through the tent. The avid hunter should over the camouflaged color for added disguise, but you should be careful not to lose your tent. Another massive plus factor for this tent is the additional room that is generated by the design. When you go on your backpacking trips, having additional room will always be beneficial. The additional room will enable you additional storage space for your gear and ensure that you can keep everything covered in all weather conditions. Getting the tent set up will become a little easier over time. Many people do not think of this tent as something that can be set up quite easily. However, I have set it up in a matter of minutes in the rain. You should also note that although we tested the 1 person tent, Snugpack has released a 2-person version as well. It is worth noting that all the features are the same, the tent is just a little heavier. As for the price, I find the price to be quite fair. All of these features will be worth your money and the tent has the ability to keep you safe in all conditions. A decent warranty has been included and you don’t really need to use a tent footprint either. I would definitely recommend it as an affordable option for not only beginners but advanced backpackers as well. The HIGH PEAK South Col 4 Season Backpacking 4 Season Tent is designed for heavy-duty purposes. Not only is the tent durably constructed from RipStop Polyester and a little bit of nylon for the mesh, but it also meets CPAI-84 Regulations. This means the tent is not only waterproof for up to 5000mm but heat retardant as well. It could potentially keep your gear safe when your camping fire gets out of control. Additionally, the polyurethane coating has once again been added and this coating makes the tent really durable when it comes to withstanding the extreme cold weather. To help the other side of the spectrum, it will also work well when used in the sun and the coating has a proven reputation of protecting the materials and the tent from heavy UV-rays. While the inside of the tent is really large and the manufacturer claims that three people can comfortably sleep, the rainfly will create 2 additional vestibules. If you add your own tent footprint, these small areas offer additional storage space for all your sensitive gear and the tent should enable you to take a few extra items along. With heavy snow falling right on top of the tent, you might be a little worried about the roof failing. However, the tent holds up well. Since only one door is used, there are minimal weaknesses that could pose a threat and allow the water to penetrate. Unfortunately, the weight is a problem. Yes, the tent is designed for three people, but one person needs to carry it when you are backpacking. The manufacturer might recommend it for backpacking, but I believe it will work much better for your camping trips or short expeditions. Nevertheless, this will all depend on you and your willingness to carry such a load. It is much better suited for tailgating and camping where your vehicle travels with you. Compared to the elite brands, I believe this is a more affordable option. It also includes a limited 1-year warranty and you should take the tent through all your camping motions in this year. I would recommend it for couples and smaller families, but you should also consider adding another layer of waterproofing to the tent occasionally. Hillman is not one of the most widely recognized brands and many people have not used many of these tents. 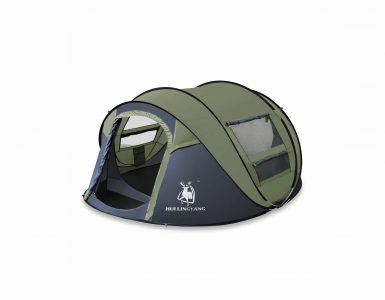 However, we gave the Hillman Double Layer 4 season Dome Backpacking 4 Season Tent a go to find out what it is made of. Aluminum is used for the inner skeletal structure and polyester is once again the go-to material for the outer coating and design. With a door on either side, you can easily open the tent and move in and out. This proved really beneficial when you are a couple and the one does not want to disturb the other. Combining this with all of the vents made the tent really breathable and perfect for the summer conditions. Fortunately, these can be all enclosed with the zipper as well when you are done at night. On the inside, the tent does have a ton of space. This space will work in your favor and it makes the tent really comfortable and great for storing your equipment. At just over 5-pounds, it is really lightweight to carry, with many people even splitting up some of the parts in two separate bags when going on a backpacking journey. The tent is really easy to set up. You won’t need any additional help when setting up the tent on my own, only took me around 10-minutes in total. Should you encounter tough weather conditions, you might need some help to keep the tent fully staked while you set it up. Unfortunately, the rain fly needs to be bought separately as well. On the downside, this tent is not made for the winter months. When you think of a 4 season tent, you generally want something to work in the winter as well. Most of the best 4 season tents will do this, but this one is a little light in comparison. However, when you add a heater and even your won rainfly, you could turn this into the complete 4 season tent for all your needs. Hillman is one of the newer brands and this tent is also a little more affordable than many of the others we have seen. If you are looking for a great tent to help you build up your camping gear, this will be the ideal affordable option to consider. I personally only recommend it to beginners, but if you take on the winters of the Arctic, this tent might not work. I love camping and when I go camping, I like living in a lot of comfort. 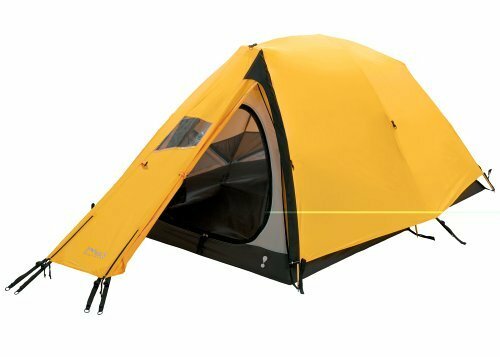 The ALPS Mountaineering Camp Creek 4 Person Tent is definitely designed for the camper with comfort in mind. Polyester and nylon are used for the fabric, but lightweight fiberglass has been used for the poles. They also snap into place with utter ease and little effort on your side. In terms of height, this will be the main features that could benefit you aside from the overall durability. The height measures 84-inches and this makes the tent perfect for your camping cots. The camping cot works a little better than the mattress and it will easily elevate you off the ground to have a better sleeping experience in general. With so many large windows, the tent is perfect for the summer months. However, the versatility is one of the main things that made me look deeper. Once you have opened all of the windows, the tent can also be used for your daily trips. Placing a couple of chairs inside will keep everyone out of the sun rays, even on the beach. When you notice the size of the tent, you might be worried about the setup. Some of my friends thought it will take a long time to set up. However, it can be set up by one person in under 20 minutes. As we have already mentioned, the fiberglass poles will simply snap in place. This saves a lot of time when it comes to the overall setup. One thing that I didn’t like, is the weight. Yes, you might not use the tent for backpacking, but the camping zone might be a fair distance from your parking spots. This tent is rather tough to carry when you are on your own. I also don’t like to struggle with all of the parts when it comes to packing up the tent. However, this tends to get easier as you find all the shortcuts. 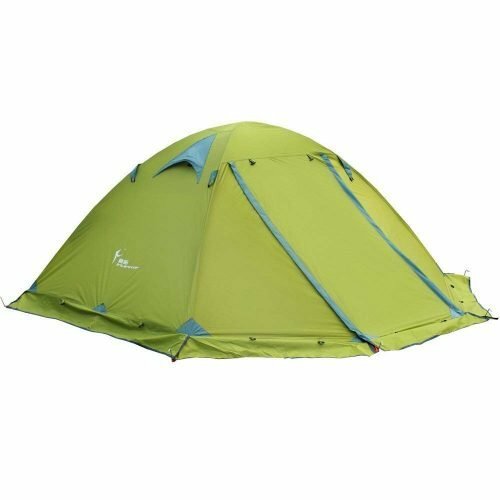 With all these excellent features and the fact that ALPS Mountaineering is one of the most reputable companies, this tent is still really affordable. The inclusion of a limited lifetime warranty should give you peace of mind as well. Chances are you won’t need the warranty ever. 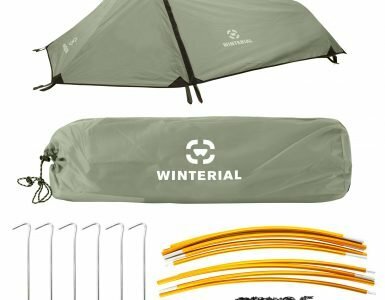 I would recommend it as the best versatile 4 season tent on this list. 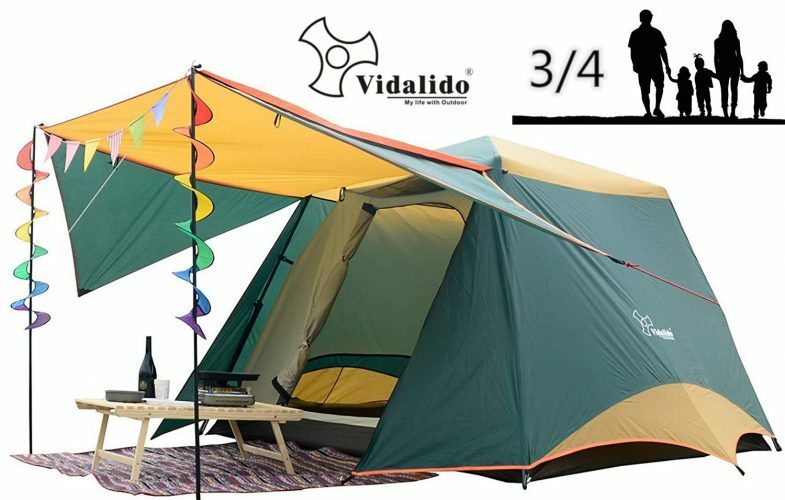 Last but certainly not least, we have the Vidalido 4 Season Camping Tent. This tent is much similar to the previous tent, but the design differs from a Khyam System to a geodesic tent that should give you the benefits of your own porch and the comfort of sleeping in your own enclosed environment without too many open windows for people to open from the outside. Oxford fabric has been combined with solid polyester to enhance the overall durability and make the tent a better option for your tough camping trips. To reinforce the fact that durability is the main theme and target, the manufacturer has added solid steel for the poles. This means they are quite hard to move around by the elements. A door is placed on either side of the tent, but the porch like cover can only be added to one of these sides. A double door is great for more than one person and serves as a good way to create a breeze with a flow of air in and out. Since it is also really high for taller people, you can add your camping cots and store a lot of your gear to save some space. For one person, the tent might take around 10-minutes to have fully set up. With extra help this time can be halved, making it one of the quickest tents to pitch. According to the manufacturer, it has been PU coated to keep most of the UV rays from penetrating and it increases the waterproof rating. Once again, the weight is a little bit of an issue. Steel is an excellent material when it comes to durability and overall stability. However, the durability factor will come with a trade-off, which is weight. 17.6-pounds can be really heavy for one to carry around and this means the tent is mostly recommended for camping, but not for the avid backpacker. These tent designs have a small market and this means you can find them for cheap and affordable prices if you do some searching. This tent is really affordable for all of these features and we would definitely recommend it. I believe this will be an excellent budget buy for your family camping trips or even a few day trips to the beach. A-frame: The A-frame tent is the most common option on the market today. The A-frame tent is one of the older models and it is basically a rigid frame with a cover placed over. Since they have a high arch, these tents are specifically made for counteracting the effects of rain. They are really simple and easy to set up but can cause some headroom problems. They are renowned for their lack of space. Dome: The dome tent is the tent more people are choosing. Since they only use 2 poles, they are rather lightweight and really easy to set up. The dome shape also offers a little more headroom, while packing up in smaller sizes. Unfortunately, the larger dome tents lack stability and they tend to gather a lot of snow and water when a rainfly is not used. Tunnel tent: Tunnel tents are similar to the dome tent, but they mostly have one single entrance. Since they are somewhat longer, they offer a comfortable sleeping area, with headroom and packing space. They are also quite large compared to the dome tent, but this means they can be a little heavier as well. Geodesic tents: Geodesic tents are seen as the upgraded version of the dome tent. They include additional poles for more stability and they are solid when set up correctly. However, these tents tend to be a little more expensive for beginners. They will take some additional time and skill to set up as well. Cabin tent: if you love camping with the family and no one has their own tent, the cabin tent will be your best option. They range from season specific to 4 season designs and they have a lot of room. Since they are taller, the tents are great for camping cots and storing your gear. Unfortunately, all this space comes with a lot of weight that needs to be carried for long distances. Pyramid tent: Lastly, you will have the pyramid tent and these tents are some of the best backpacking tents on the market today. They are slightly harder to set up but very lightweight. The pyramid tent has been built on the same fundamental basics as the shelters used by many of the Native Americans. Pop-up tent: The pop-up tent is one of my favorite tents and these tents work well for camping and backpacking. If you like to travel light, the pop-up tent does not have any additional poles that you need to carry along. However, they might not have the same level of stability as many of the other tents we have discussed. When it comes to the 4 season tent, you can find one in all of these shapes. However, the dome and geodesic tents remain the staple options for a 4 season tent. I generally prefer the cabin shape to be used for a winter tent when I know the conditions will be making a turn for the worse. However, you should buy one that offers you long-term use. Materials are always important and as you might have noticed, all the tents have been constructed from polyester fabric. Using RipStop technology adds another layer of durability and you will be able to take on more of the elements. For the mesh, nylon is the best materials. Nylon is really breathable and the mesh has a similar function to the cool shirts made for working out. 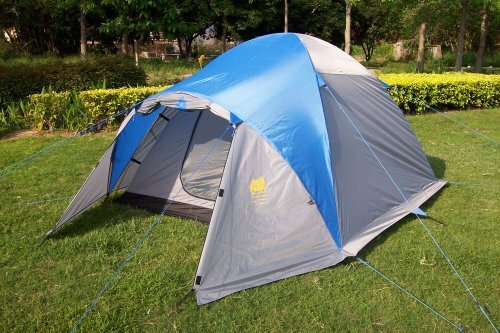 Aluminum: Aluminum is probably the most common material used for a tent. It is lightweight and affordable, but offers decent durability. If you manage to find aircraft grade aluminum, the durability will be even better. Fiberglass: Fiberglass tent poles are the best when you need flexibility. They are easy to replace, but can crack and even split when placed under too much stress. These poles are not commonly used for tough conditions, but will work well for car camping tents. Carbon Fiber: Carbon fiber is the holy grail of tent poles. They are really lightweight and has the best durability rating. The biggest downside is the price, with many people not choosing them for this very reason. It is also tough to find replacements. Pole alternatives: Pole alternatives refer to anything nature offers you to assist in keeping the tent upright. If the tent does not have poles, you should consider looking at the ropes included for durability. Not to worry, as this is only something to keep in mind when you are using a pop-up tent. The best 4 season tent is not only used for camping. I personally like to use these tents for backpacking as well. When you select your tent, you should always keep the weight in mind. For backpacking, I would not recommend anything heavier than 8-pounds. However, camping tents have no real weight limits. If you love camping with the family, you can easily find a tent with a weight of close to 20-pounds. One thing to also keep in mind is to never compromise your durability for a lighter weight. If you have found the right materials and the poles are made from steel, you might want to give up the tent. Depending on the area or the location you are camping, you might want to consider keeping the steel poles for the durability and the added stability they offer. I am a firm believer that every tent should be weatherproof. If the tent is capable of withstanding the conditions, you will get great value for your money and more durability. Nowadays, most tents are designed to be weatherproof and they all come with a decent coating. I personally love the PU coating for this protection. The polyurethane coating has a proven record of keeping the water sliding from the top of the tent. It also helps to protect the materials from the belting UV rays of the sun. If your tent does not have this coating, you can add this in conjunction with the inner coating that is found on the market today and they should combine to give you the maximum protection. It is worth keeping in mind that the coating might dissipate over time, you will be responsible for adding this again and ensuring the tent is in the prime condition before your next trip. Adding waterproofing products to the inside of the tent will also work really well and keep you dry when small weaknesses do appear. One of the key aspects the 4 season thrives on is the ability to be functional in all seasons and weather conditions. This means it should have a way of giving your breathability in the summer months as well. Most of the top brands have added a couple of vents to the top. Since they are controlled with a zipper, you have full control to open or close them. Occasionally, having 2 doors will also work in your favor. It might pose a little weakness to the elements, but when open, they create a nice port for air to pass through. In love a breeze in the summer months and when it is covered with mesh, even better to keep all the bugs from giving you a hard time in bed. If you are a camper, you might have ample time to slowly set up the tent to all your needs. However, this is not always the case and I have found myself in a rush to get the camp ready. You should consider looking at the time it takes to set up the tent. This will give you an idea of how complex it is and if you need to study the setup at home. It is worth noting that I always recommend setting up the tent at home to ensure everything is fine and you can properly do it. While the setup might take some time to master, packing it up seems to be something many people have a hard time with. Much like everything in life, it is really easy to take it out of the box. The problem comes when you need to repack the tent. With a little effort and a few frustrating camping moments, you will eventually understand how to set up the tent correctly and how to pack it up without all that hassles. When you buy a tent, you will occasionally receive a couple of additional items that can be used. The rainfly is one of them and when it is tailored to the design of your tent, it is really easy to set up. However, the rainfly is not always included and buying one separately will require a few tent measurements. One of the tips I received is the ensure that the rainfly is always slightly larger than the tent. This offers a little more functionality. The footprint is also important and it helps to keep the tent floor dry from the bottom. Nothing can be more frustrating than having a dry top, but the floor is soaking wet. I like to add the footprint when I am camping in muddy conditions. It will keep the floor dry and clean, making t my work of cleaning the tent afterward a little easier. Having a smaller cloakroom before you enter your tent is beneficial for the avid camper. Nothing it more frustrating than having to take your muddy boots inside the tent. However, leaving them outside in the open can be a massive risk. The vestibules are seen as a sort of entrance before the actual entrance of the tent. They are floorless, but offer covering from the top to protect some of your gear. When buying a tent with vestibules, you need to look at the headroom on offer. If it offers a large enough area for you to stand, you can easily cook inside this space. Your gas grill will be a handy piece of gear to ensure a comfortable cooking experience. On a side note, it is not recommended to use an open fire near the tent and the gas stove of grill is the best option. Most vestibules also have a drip line. This refers to the area where the water is carried and when it drips down onto the floor. It is important to look at this drip line to ensure it does not drip inside or near the tent. Adding a rainfly will ensure more control of the drip line and push away some of the water from your tent. If you have not noticed yet, tents are easily reproduced. Many cheaper brands are selling knock-offs of your favorite brands for half the price. While these brands are tempting, it is worth noting that the materials are not on the same level. The lack of quality materials can make a massive difference and the tent might cost you a lot in the long run. We have done careful research to selected reputable brands. These brands have a proven reputation to offer great value for the money. They also have a good customer surface to help you when you find yourself in bad times. I personally think the warranty closely links to the brands. Most brands have a good warranty included, showing confidence in their own product. They also give you the opportunity to test the product and find out whether it will hold up. One of my favorite brands is the ALPS Mountaineering brand and they have a proven reputation for limited lifetime warranties. Do not be fooled by weak 1-year warranties from cheaper brands. Most manufacturers understand that you won’t be using the tent too often and they try to take advantage of this fact. It is important to closely look at the warranty and find out if it will be enough for you to have some peace of mind on your next camping trip. The capacity is basically another word for the price of the tent. The larger the size, the more expensive it will be. When buying a tent, you should not buy more space than you need. This will be a waste of many and there are many other great items you can choose for your tent. The norm for a tent is the 2-person tent and this will be ideal for an outdoor hobbyist. The capacity is also important when looking at the gear that needs to be carried along. I generally prefer having a little extra space for all my bags. However, you can buy smaller tents, designed specifically to serve the same purpose as your closet and keep all of your gear safely protected from all of the elements. Which tent is the easiest to set up? When you work on your skills with the tent, you should find all of them really easy to set up. However, the best tent for beginners is the dome tent. Yes, the A-frame is a little easier to set up, but using the dome tent will be beneficial for your camping trip and it will be really simple to set up as well. If you consider yourself a beginner, you should stick to the dome tent. If for any reason the dome tent will not suffice for your camping or backpacking needs, I would recommend practicing how to set up the tent correctly at home. The instructions are generally clear and concise. Another big problem with many campers is forgetting the instructions at home. You might not look like a professional now, but using the instructions is better than being stuck clueless in the wilderness. 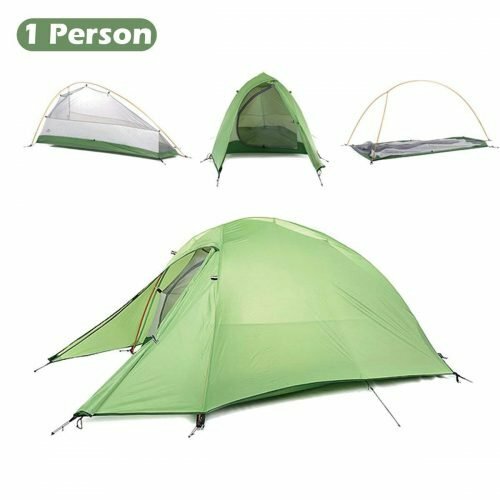 Which tent must I buy if we are more than 4 people? If you need to supply sleeping space for more than 4 people, you should consider buying a larger tent. Buying more tents will be rather impractical and it also costs you a lot of money in the end. Fortunately, most brands have designed a 6-person and even an 8-person tent to accommodate all of these needs. I have also been fortunate enough to see a 12-person tent, but they are a little crowded. The biggest problem with some of these tents is the lack of features. Finding a 4 season tent in these sizes can be a daunting prospect and you might want to reduce the number of people on your camping trip. The best 4 season tent is generally found in 4-person sizes, with many of the other top brands designed for 2 people. However, you can experiment with all of them if needed. Should I buy a freestanding or non-freestanding tent? The freestanding tent is one that does not need to be stakes down. These tents are generally heavier to keep them planted to the ground. Choosing a freestanding tent offers more versatility and you won’t need to find an area with solid ground to keep the stakes from being pulled out. Alternatively, the non-freestanding tents are a little harder to set up. They need a decent ground surface to ensure the tent remains steady. 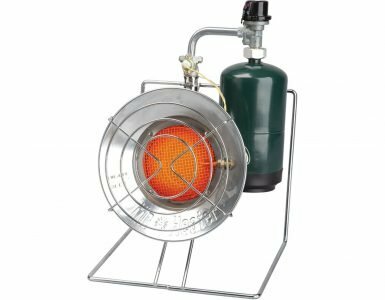 If you are camping in calm weather conditions, this will be a great option to consider. Which tent is best for camping with a camping cot? The camping cot is designed for additional comfort. It lifts you from the floor, but takes up a great deal of space. Adding the camping cot to your tent will require a larger square surface and more height. Preferably, using a tent like the cabin tent, you have enough space for your cot. If you plan to add a camping cot, you need a tent like the ALPS Mountaineering Camp Creek 4 Person Tent. Around 60-inches in height will definitely be sufficient for your camping cot. It is also worth noting that the cot should be a fair distance from the door, allowing you to have easy entry, without falling all over the gear. What is the benefit of buying a tarp? You might have seen our references to the rainfly and the tent footprint. However, the tarp is another great addition that can be added to your tent. The tarp serves as a footprint and a rainfly, giving you the ability to set it up as you please. If your tent does not include a rainfly or footprint, using the tarp for these purposes can be really beneficial. The tent is one of the most fascinating aspects of any camping or backpacking trip. With the right tent, you can accomplish many things. These tents are highly rated by many experts and our tests have approved them for all the quality features and value on offer. The best 4 season tent brand on this list is definitely ALPS Mountaineering. They have competitive prices with excellent features. We hope you found this article helpful and we would like to thank you for making it to the end. We understand there are many more excellent tents on the market today and we would love to read some of your comment on what you consider to be the best. Let us know in the comment section and we will gladly look at them as well.